My first news of Sam came in a letter from a Korean friend named Chang. "I have learned of a boy," he wrote. "It seems likely that his parents, probably the father, took him to the railroad yard at night and hid him on a train destined to cross from North to South Korea. A railway worker in Seoul discovered him in a freight car, wedged between crates and suffering from exposure. He was perhaps six years old. Many people do this in North Korea, hoping their child will find a better life here than up there. Little bodies are often found in the boxcars, frozen or crushed, or even murdered. It is a terrible thing." He went on to say that this child had traveled a curvy route through various institutions until he was, after a year, placed in an orphanage of good reputation. I was glad for that, but what did it have to do with me? A second letter, which came two weeks later, piqued my interest. "They celebrated a birthday for him at the orphanage last week--not his own, of course, because no one knows when that is. They declared him to be seven years old." I wondered why the boy had not given them this information. Most children of that age whom I had known could have done so. Although trained in the West as a psychologist, certain oriental principles were deeply ingrained in him. He believed, for example, that the shortest distance between two hearts lay not in a straight line, but along a sinuous path. I sensed a third letter would come soon--and do more than wind up for the pitch as the first two had. I was right. "Do you still help such pitiful children?" he asked. This time, I wrote back, asking why the boy was not listed with the agents who handle these cases. The answer arrived forthwith: "They do not accept a handicapped child. It is only that the boy cannot speak. He is perfect in every other way." I was touched. I wrote and asked what the doctors had to say. The reply: "There is nothing physically wrong with him. He could talk if he wanted to. They do not know why he doesn't, but he must have help now, immediately, at once. Handicapped children are not allowed to stay permanently at this orphanage. They are considered unfit for adoption in our society, just as girls have far less chance than boys. He will be sent elsewhere soon, and that is not a pleasant thought because he will not receive much attention there. This boy, whom they have named Sam, is sensitive and bright. Something must be done." I was hooked. I signed on as the child's mentor. In those days, American sponsorship figuratively elevated a Korean child to a place near the right hand of God. The immediate effect was that it canceled Sam's transfer to a lesser, perhaps beastly, institution. Long-term, he was under my protection. On my sixteen dollars a month, Sam--which is a Korean name as well as a Western one--became a little prince. For a year, I contributed to Sam's care at the orphanage, requesting that he receive professional psychological help, when possible, even at extra cost. That was not easy as the orphanage was on an island where such facilities did not exist. 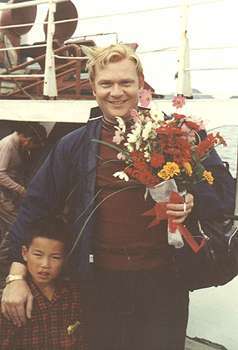 He was taken twice to a city on the mainland--by way of a long ferry trip--where he was placed in speech therapy for a total of four hours that year. There were no noteworthy results. He continued in absolute silence. Then one day I found myself in Japan on emergency business. South Korea was, relatively speaking, no more than a hop and a skip away, but my schedule was relentless. I called Chang in Seoul while I still lay abed the morning of the day I was slated to return to the States. He was ecstatic to hear that I was in the Far East. "Come! Come!" he shouted over the phone. "I will take you to meet the boy!" I told him I was leaving for home. It was too late. He could not conceal his disappointment. After hanging up, I glanced down at the quilt that kept me warm. I had stayed at this Japanese ryokan, or inn, before. It had once belonged to Japan's imperial family. The exquisitely embroidered quilts were among the appointments remaining which had been theirs. 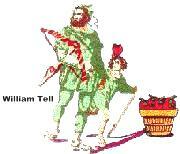 On mine was depicted in gaily colored thread a group of children running and jumping, obviously having a wonderful time. Behind them, a lame little figure struggled along, trying to keep up. Three words leapt to mind: my Korean son. I called Chang again and told him I would somehow arrange to stay on for another week or ten days. I would come to South Korea as soon as I could. We would visit Sam. My next move was to contact the wife of a Japanese friend. She ran a famous designer's boutique in a Tokyo hotel. By the time I left for Korea, she had procured for the boy a wide-brimmed white Stetson, a silver-trimmed black cowboy suit with matching cape, and a pair of black leather boots ajangle with silver spurs--the Lone Ranger's outfit from a children's costume show that had recently been held at one of the magnificent megastores in the Ginza. The paraphernalia even included the legendary cowboy's half-mask. Throughout the flight from Tokyo to Seoul, the overture to Rossini's opera, Guillaume (William) Tell, echoed in my brain. The musical theme of The Lone Ranger on radio, it had thrilled me as a kid and helped instill in me a love for classical music. Along with it came the memory of the words proclaimed above the overture by the announcer as each program began: "A fiery horse with the speed of light, a cloud of dust and a hearty 'Hi-yo Silver'--the Lone Ranger rides again..." Looking out over the glistening wing of the aircraft speeding me across the Sea of Japan, I thought: This is my fiery horse. Watch my dust! Hi-yo Silver! In Seoul, Chang joined me for the day-long train trip to a large city on the country's southern shore. Once we reached Pusan, we spent the night in a small hotel before boarding an ocean-going ferry for the last leg of the journey the next day. Several hours later, far out in the Korean Strait, we came to the small island where the boy lived. My friend pointed out the orphanage from the ferry deck as we steamed into the harbor. It sprawled across a hillside overlooking the sparkling sea. "Look," he said in his charming Korean accent, "many frowers are brooming." Indeed, many flowers were blooming, in a profusion of colors. It was beautiful. At the orphanage, I stepped out of a station wagon into a mob of moppets ranging in size from knee- to chest-high. Several of them clung to my legs and arms while the rest literally fought for a place at my side. I might have enjoyed the adulation had I not known that each of these precious souls was a desperate contender for someone, anyone, to belong to, someone who would bestow the prized status of "daughter" or "son." I was hustled through the multitude by Chang and the orphanage director to the guest cottage, set in a walled garden where quiet reigned. I could already see the need for that. I was grateful to find that the bungalow offered a taste of traditional Korean living style. There was a low table surrounded by thick cushions which served as chairs, set on an ondul floor. The floor had the look of linoleum, but was, I believe, made of oiled paper layers. Its relatively fragile quality required the removal of shoes at the door, as did Japan's woven tatami mats. It was a cool day. Beneath my stocking-clad feet, I could feel warmth from the hot water running through clay pipes installed under the ondul. 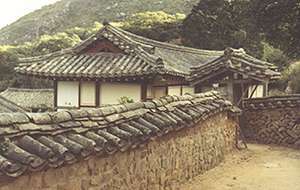 Koreans had used this method of radiant heating for at least a thousand years. I sat cross-legged on my pillow at the table and sipped the tea the director poured for us as she explained the history of the orphanage. She spoke no English. My friend translated for us. It was interesting, to be sure, but whenever I mentioned meeting Sam, she quickly veered into another subject. Chang, sensing my growing impatience, managed in a circuitous way to ask her to stop beating around the bush. She blushed. "The boy has disappeared," she said apologetically. "When the ship came into the harbor and blew its horn, everyone ran to the edge of the hill to see. We all knew you would be on board. He was right there at my side at first, but in the confusion I lost track of him. The entire staff is at this moment looking for him. I should be looking, too." Refusing my offer to join in the search, she suggested Chang and I rest from our journey and then excused herself. A young lady, probably one of the older orphans, appeared at our door shortly thereafter and laid out for us the Korean equivalent of Japanese futon, which are thick mats used as beds and stored away during the daytime. I did not wake until sunset. Chang had already risen and gone out to the orphanage compound so I was alone. Noticing that the door of the bathroom stood open. I arose and went inside. The deep, wooden tub, set on a platform, resembled a large barrel. It was filled to the brim with steaming water. It was irresistible. I decided to luxuriate in it for a spell. Practicing the Korean bathing style, which is based on the Japanese, I scrubbed myself clean with a rough, soapy cloth and rinsed off before stepping into the tub. The water was so hot I thought it might peel away my skin, but after a few seconds, the euphoria that swept over me threatened to catapult me into sleep again. As I tried to resist, I felt, rather than saw, someone standing near. I opened one eye and found two staring back at me, large brown ones set in a face I knew from a photograph I kept on my dresser at home. I was looking at Sam. He did not speak, of course. Nor did I. I had no chance. Hearing the entry gate squeak open, he fled. Chang came to the bathroom door. "They cannot find the child." "He was here! I'm surprised you didn't see him. He ran out when he heard you at the gate." "Ah-ha!" Chang exclaimed, and likewise fled the scene. Minutes later, he was back with the boy. By now I had left the tub and wrapped a towel around my middle. Sam looked sheepish. He took a few tentative steps toward me and bowed deeply from the waist, his hands clasped against his forehead. I accepted the obeisance with a little bow of my own. "If he didn't run past me when I came in," Chang explained, "he had to be hiding in the bamboo grove behind the bungalow. I suppose he was trying to get a private look at you. He may never have seen a Westerner up close." "It's nice to be unique," I remarked. Thus began a priceless week that I shall remember all my days. With permission from the orphanage, we returned to the mainland with the boy. In Pusan, we were met by Young, a raffishly charming, talkative mite who had been Sam's best friend before being adopted a few weeks earlier by a local businessman and his wife. Pleased to be together again, the boys sparred and danced around each other, but not a word passed through the lips of my son, nor did he smile. Mysteriously, Sam and his tiny buddy managed to communicate. Young did not leave much space for anyone else to talk as he was such a chatterbox himself. His new parents allowed him to join us for an excursion to a famous Buddhist temple complex and a sacred mountain up the eastern coast. The trip in a rented car took several days. We were never apart. The boys shared a sleeping mat at the inns, and we all bathed communally at the family bath houses, as custom decreed. The boys were quite impressed by my hairy chest and general largeness alongside wiry, smooth-skinned Chang. The diminutive chatterbox couldn't resist comparing his peanut-size feet with my size 10s, and flexed what he liked to think of as his muscles to show us he was, at eight, already quite a man. Sam scarcely participated in the horseplay and general romping about that we others engaged in on the trip. He seemed emotionally detached from things Young found deliriously exciting and new, being inclined to tag along in emulation of the pathetic figure I had noticed on the embroidered quilt at the Emperor's ryokan in Japan. On several occasions, Chang and I tried to draw him in closer. We gave him an English lesson based on the phrase "my father" to try to develop his relationship with me. From him we got nothing, but Young rattled on in Korean, throwing in the English "my father" several times in reference to his own new poppa. Only once did a spark animate Sam's features and drive him to a spontaneous act. We had just come down the holy mountain. Without realizing it, we were walking beside a railway track as we approached our car. Suddenly, out of nowhere, a freight train roared by at tremendous speed. As it rumbled past, Sam fell to his knees on the graveled path. Fists clenched, eyes squinted shut, his contorted face bespoke an unmitigated terror in the depths of his soul. I lifted him up in my arms and carried him the rest of the way. With all my heart I wished I could wipe away the trauma of losing his family and of those terrible nights he had shivered alone in a boxcar. I could not hold back a freshet of tears for this trembling child I thought of intensely at that moment as my own. He had stopped shaking by the time we reached the car and was staring at my face with a strange look in his eyes. As I set him down, he crumpled up in a fit of coughing, clinging to me all the while.When that passed, he climbed into the car and chose to sit on my lap and fall asleep while Chang drove. It was the first, and only, time he did such a thing. Back at the orphanage on the night before the morning I was to leave the island, I felt sad that my trip seemed to have been in vain. Sam remained silent, and my coming essentially meant little because I would be unable to adopt him myself--the international, especially the Korean, laws of adoption being what they were. There was to be a farewell ceremony with all the kids present. Sam would be there, of course, wearing the orphans' standard uniform of frayed tee shirt, ragged sneakers and ill-fitting shorts. Before we left on the car trip, he had refused to don the cowboy outfit I brought him, even though my friend and I told him the story of the Lone Ranger, with me galloping around and Chang playing Tonto, the Indian sidekick. He sat mute through the whole performance and didn't crack a smile. After the meal, a hundred children and the staff gathered in an assembly hall featuring long wooden benches set on either side of a central aisle. An upright piano and a lectern stood up front. I was given the presumed place of honor in a chair beside the speaker's stand. Korea being a nation of singers--like the Welsh and the Italians--the centerpiece of the entertainment that evening was a medley of a dozen American songs ranging from Yankee Doodle Dandy to My Old Kentucky Home, sung in chorus by the children. They had learned the English lyrics by rote. The pronunciation was a mishmash, but the voices were superb, as were the vocal arrangements and the direction. They could have sung at Carnegie Hall. Through it all, my heart ached for my little boy, who had pulled another vanishing trick after dinner. I took his disappearance to mean either that he could not bear partings after what he had been through or that he was glad my visit was over. I dared not guess which one. After they sang, I was called upon without warning to stand up and sing a solo. Chang had neglected to tell me that guests were always asked to do this. I was horrified. How could anyone but an accomplished singing artist follow such a choir? I was anything but that. Standing there with my mouth hanging open, I must have looked a perfect fool. Then, an unexpected music resounded in my ears. Could it be.....? Yes, it was the jangle of cowboy spurs! All eyes turned to the rear just in time to see a small but heroic figure march through the door. 'Hi-yo Silver'! The Lone Ranger rides again! Gasps ricocheted around the room. I could almost hear one of the old radio show's closing lines: Who was that masked stranger? That was no stranger. That was my son! Looking neither to the right nor to the left, Sam strode down the aisle with confidence and pride oozing from every pore. When he reached me, he swept off his Stetson, threw back his cape and dipped in a bow. Turning to the rapt audience, he took my hand. His face burst into a toothy smile made even more brilliant by the Lone Ranger's mask covering his nose and brow. His voice rang out with the clarity of a bell: "My father!" It brought down the house. Scores of cheering children rushed at us en masse. We were lucky to survive. Sam spent the night with us in the bungalow, curled up cozily on a small futon. He talked volubly to Chang. I was content merely to listen to the babble. When Sam finally fell asleep, I asked Chang if he knew why the boy had remained silent. "His father told him when he hid him in the boxcar that if anyone heard him, he would die." "Do you mean that single admonition kept him silent for two years?!" "Yes. Sheer terror locked up his vocal chords and, one might say, threw away the key." "It began the other day, when you cried for him after he was frightened by the train at the sacred mountain. He realized for the first time that you love him as no one has since his parting from his father. It was like a bolt of lightning--that he need no longer be afraid. It healed the trauma of his mind. He tried to speak, but the atrophy of his vocal chords brought on the coughing fit, which left his throat so sore he couldn't try again until tonight. He remembered our acting out the Lone Ranger's story. He decided that was the way to please you best." On the way to the dock the next morning, Sam sat beside me. "Don't worry about me," he said through Chang. "I know you have to go away. I understand." As Chang and I boarded the ferry, Sam stuck out his hand like an American boy--no bowing this time. "Thanks, pardner," he grinned, using English words he had cadged from Chang. I wouldn't settle for that. I swept him up and gave him a big kiss. We both cried. A few weeks later, Sam was adopted by the couple who had adopted his boon companion, Young. "One chatterbox was not enough," concluded Chang in the letter he wrote to inform me. "Now they have two."